Not only will the goods be good but the venue looks amazing! f.a.d. weekend is a pop-up (fashion, art and design) indoor makers’ market & flea held in Brooklyn on Sundays. It begins it series at 22 Boerum Pl, a McKim, Mead & White 1926 Renaissance revival style theater, on May 1 – June 26. It is a curated space that brings together a pool of emerging and mid-career artists and designers from all backgrounds, representing the talent of the city and beyond, together with vintage, antiques & collectibles. Boerum Hill, located conveniently next to Gowanus, Park Slope, Carroll Gardens and Brooklyn Heights, is such a lovely old neighborhood with many colonial style brownstones. A great place to walk around. This will be my first full market of the year. 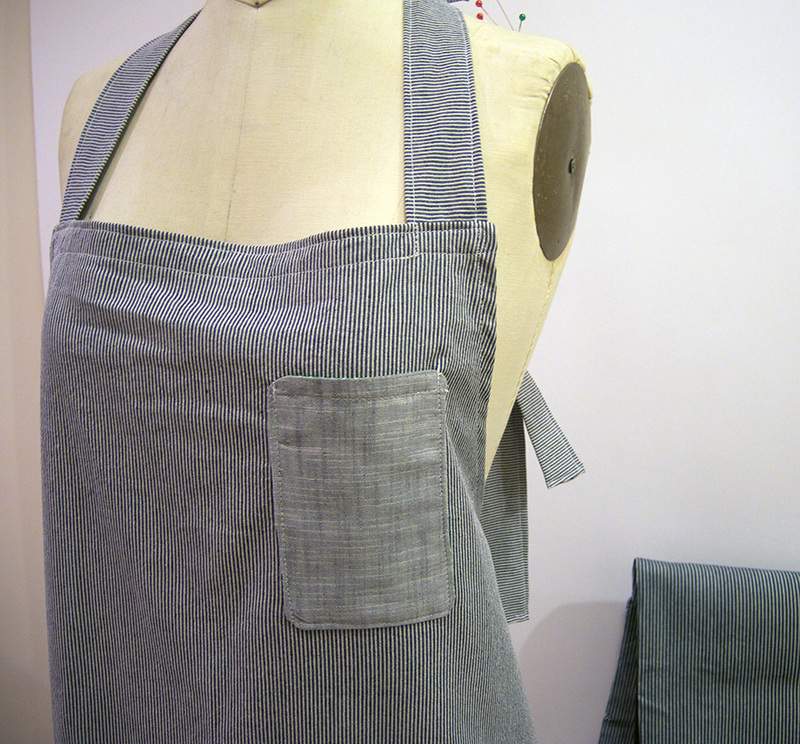 There will be new picnic blankets, some new apron styles and seasonal summery table linens! the Gigi Half Apron, 1950's anyone? I am loving this new fabric which is printed on Barkcloth. Barkcloth is a looser, slightly heavier weave but the fabric is not heavy. I am keeping this one clean and simple. One pocket, on the reverse side of the fabric to add some dimension and not take away from the overall print. Hope to see you! Have a great weekend!